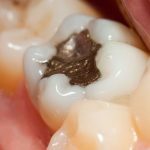 Do Dentists Still Use Amalgam Fillings? Where and how do dentists inject anaesthesia? How does a dentist do a root canal treatment? 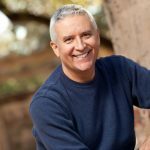 How do dentists remove plaque? 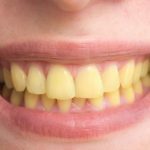 How Do Dentists Remove Crowns? Do you often find yourself troubled by your smile? Maybe you have dreamt of improving the shape and colour of your teeth so that you can confidently smile? Well, you are not alone. In fact, recent surveys have shown that over 75% of people don’t feel confident enough to show their smile in a photograph…. Getting on top of your dental hygiene doesn’t have to mean looking for lost dollars inside your sofas. 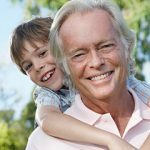 At Adelaide Dental, our DentiCare payment plans allow current and future patients the versatility and flexibility of completing their treatments without the anxiety of looking at bank accounts –paying off the costs after 12 to 24 months…. There is a saying that ‘pain is inevitable, but suffering is optional’. 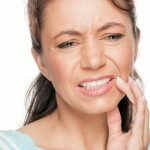 If you’ve ever experienced tooth pain, then you know that interjections such as “ouch”, “ah”, and “oh” don’t even come close to expressing the pain you feel when a tooth is torturing your face. Do you have a gappy smile? A missing tooth will never go unnoticed –mainly due to discomfort and it’s impact on your confidence. There are many reasons for which a tooth may be missing, ranging from decay, an infection, or an unfortunate knock to the face. The result, however, is the same –tooth pain, sensitivity, and perhaps worst of all, a lack of confidence. Have you experienced prolonged sensitivity to cold or heat, swelling of the gums, tenderness when chewing or simply touching your cheek? Well, you’re not alone. There are multiple symptoms which can point to you needing a root canal treatment. Teeth cleanings are just one of the many procedures which cause people to fear the dentist’s office. The combination of poking and prodding, strange noises, slight pain or discomfort causes apprehension –sometimes for good reason. However, what most people don’t realise is that having your plaque removed is a quick and painless procedure. Yes, we did say painless! Dental crowns are an ideal way of rebuilding or restoring teeth that are badly broken or cracked. 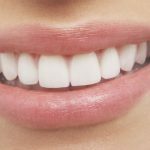 Made out of strong and durable porcelain, crowns are a permanent treatment which can last up to 20 years, provided you take care of your attractive results.